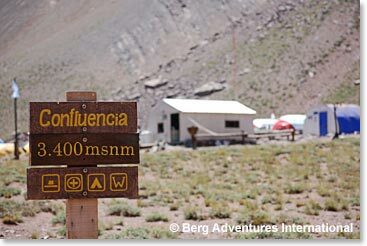 I am calling you from Confluencia Camp, a little over 11,000ft. above sea level. Yesterday after I last reported to you, the weather was considerably better than we expected. 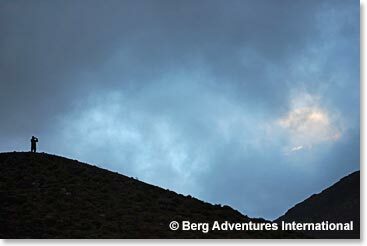 We saw a bit of snow, few flakes, a bit of rain, but basically we had very good hiking conditions. Coming up to Confluencia it took us about 3 ½ hours to get here. It has been around 24 hours now, and I am calling you about 3 in the afternoon. We took a hike today, up to about 12,500ft . Hiked for about 3 and ½ hours, a bit of acclimatization day. Now we are back down in the tent, for two afternoons, enjoyed popcorn, water melon, tea, cookies and a few other snacks, prepared by Maria. 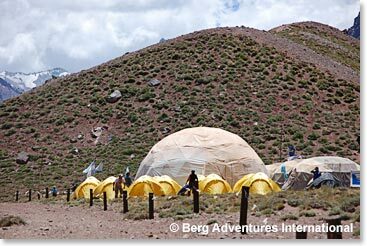 We are pleased about the weather developments and we have another acclimatization night, sleeping at 11,000 ft. plus here tonight. 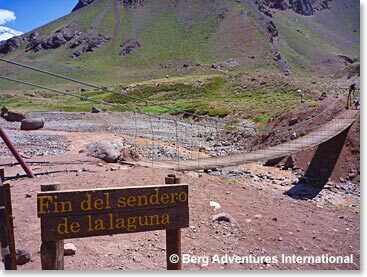 If the conditions are right, we make the big stretch with the 9 to 11 hour hike all the way to Plaza de Mulas tomorrow. Great distance involved with that as well as elevation gained, we will be moving to 14,000ft tomorrow if things go well. 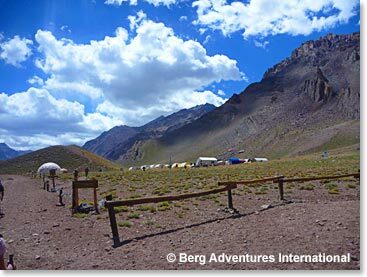 It is cloudy now in Confluencia, but nice weather overall, bit windy but that’s normal on Aconcagua. We will see how it goes tomorrow.